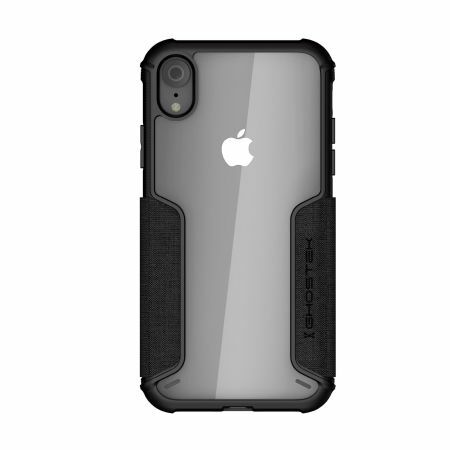 The Exec premium case in black provides your iPhone XR with fantastic protection. 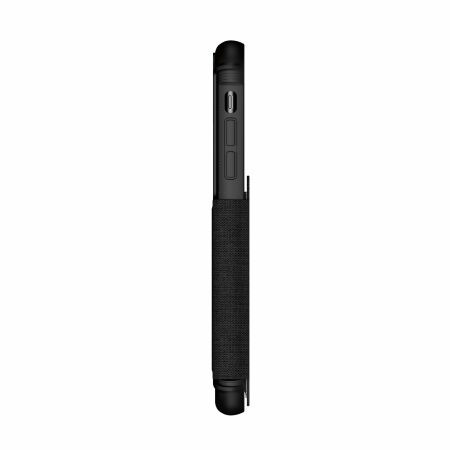 Also featuring storage slots for your credit cards, ID and cash. Providing total protection for your iPhone XR, the Exec case from Ghostek wraps your phone from top to bottom in order to keep it safe from the rigours of day to day use. 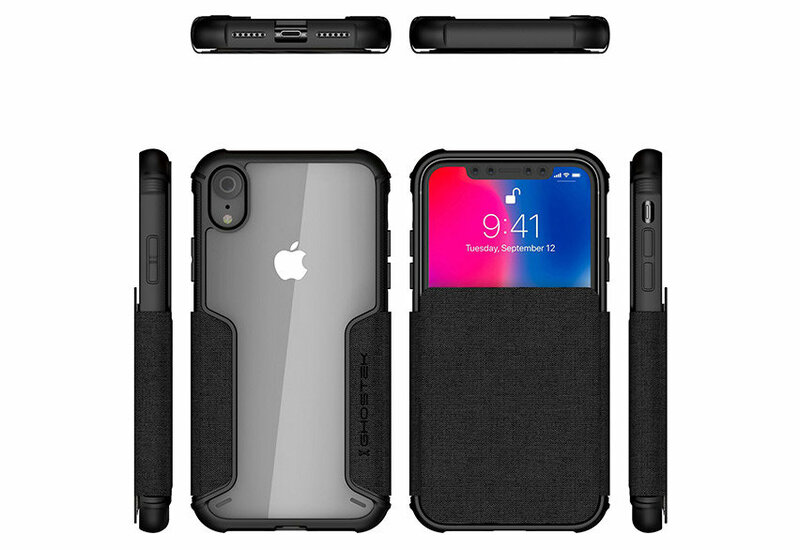 The case's strong and beautiful design combined with the included screen protector offers fantastic resistance and sublime style. 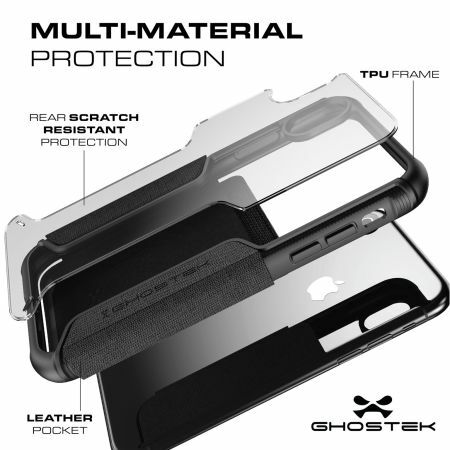 The Ghostek Exec case combines the best qualities of TPU (thermoplastic polyurethane) and PC (polycarbonate). 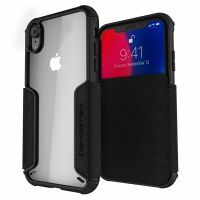 The former contributes to a flexible, malleable form-fitting body, while the latter adds a hard, sturdy bumper which keeps your device safe from shocks. 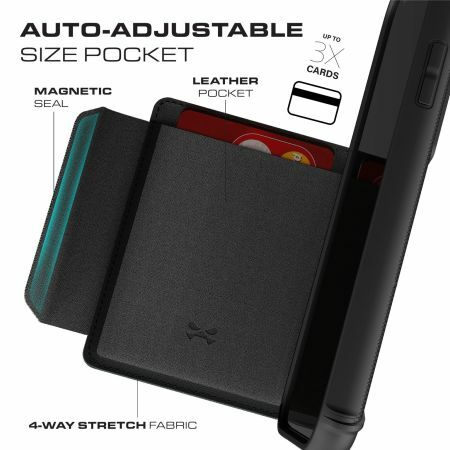 With this case you can leave your wallet at home thanks to the credit card slots featured on the case. 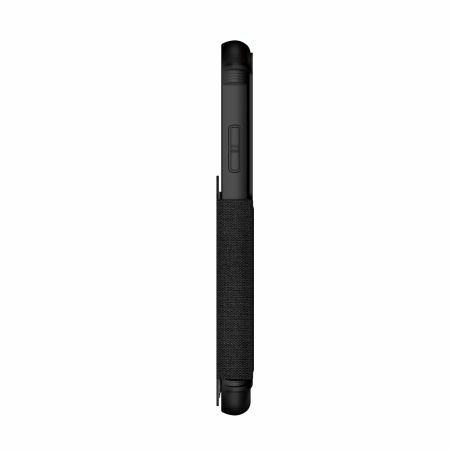 This makes it the perfect case for when you're popping out to the shops, going out in the evening or even if you just prefer to travel light. 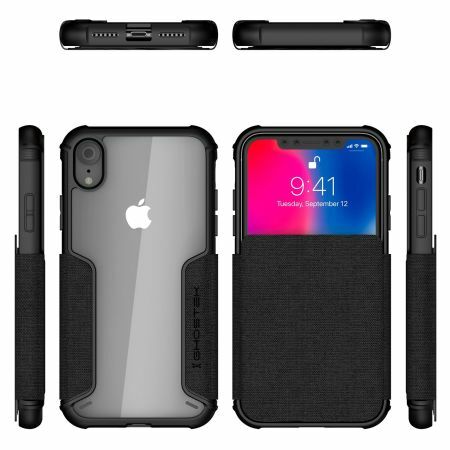 Store your credit / debit cards, train tickets, ID and cash simply and easily all within your genuine leather case for your iPhone XR. 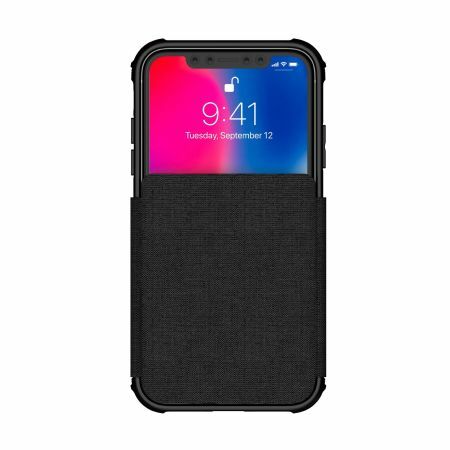 If you're in full work mode and need to minimise disruption, you might want to keep your iPhone XR face down so the screen doesn't disturb you. 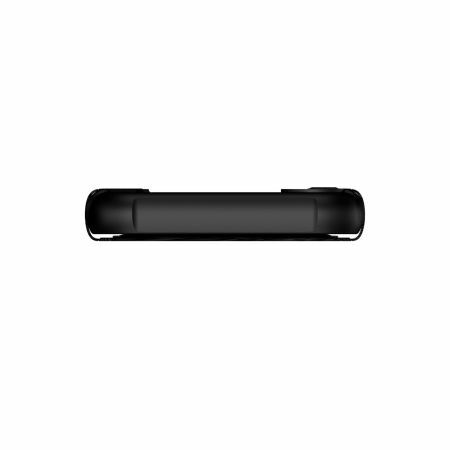 The raised bezel on the Ghostek Exec will keep your screen safe from scratches and scrapes, so you can keep your head down without worrying about your phone. 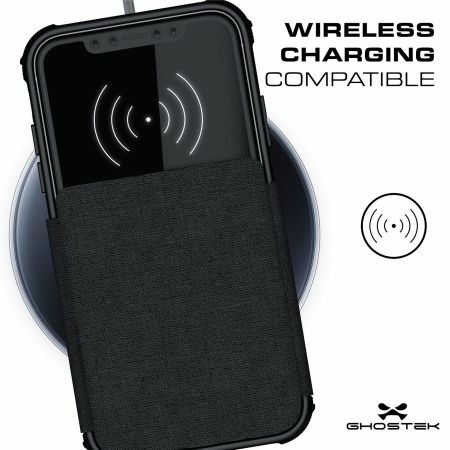 The Ghostek Exec Wallet Case optimises functionality to all of the iPhone XR's ports and features, including the charging port, volume keys, power button and more.